The Royal Mint is the United Kingdom’s national mint, and has the distinction of being the world’s oldest mint. The Mint’s facility occupies a 35 acre site in the district of Llantrisant, South Wales, and has been at that location since it moved out of London beginning in 1968. The Mint, fully owned by Her Majesty’s Treasury, produces circulation coinage for the UK and many other countries around the world, and also manufactures commemorative coins and medals, and a range of gold and silver bullion coins and bars. The Mint’s vault is available to the public for storage, but only for gold products purchased from the Mint. Storage is also available at the vault for holders of large 400 oz good delivery gold bars. Established more than 1,100 years ago, the Royal Mint is the world’s oldest mint. Although the Mint’s history can be traced back to 886, it’s most notable location from 1279 was within the Tower of London where it remained for over 500 years. In 1810, the Mint moved to new premises on Tower Hill so as to accommodate the use of large stream driven coining presses. In 1848, a Royal Commission recommended that the refining activities of the Royal Mint be operated by a distinct refinery separate from the Mint. NM Rothschild was awarded the lease to run this refinery, and this refinery was established in 1852 as Royal Mint Refinery. The Royal Mint Refinery continued operations for over 100 years, but was sold to Engelhard Industries Ltd in October 1967. As gold discoveries and subsequent large-scale gold mining developed in the 1800s and early 1900s in various colonies of the British Empire, the Royal Mint opened a series of branch mints near these gold mining operations, primarily to locally procude gold Sovereigns. Branch mints of the Royal Mint were established in Sydney, Australia in 1855, Melbourne in 1872, and Perth in 1899. In 1908, a Royal Mint branch mint opened in Ottawa, then a Canadian dominion of the British Empire. In 1918, a branch mint was opened in Bombay, India. Lastly, in 1923 a branch mint was set up in Pretoria, South Africa. Historic gold Sovereigns produced at these branch mints bear their own mint marks, for example P for Perth, C for Canada, SA for Pretoria and I for India. Notably, the successors to some of these branch mints are now some of the largest independent commercial mints and refineries in the world, namely, the Royal Canadian Mint (Canada), Perth Mint (Australia), and the South African Mint. In the 1960s, a decision was made to relocate the Royal Mint out of the City of London to a green-field site in South Wales. In 1967, work began on the construction of a new mint facility in Llantrisant, South Wales. Coin production began at the new Llantrisant faciliy in 1968. The last coin produced at the Royal Mint’s Tower Hill mint was in 1975 when a gold sovereign coin was struck. The Royal Mint Museum moved from Tower Hill, London to Llantrisant in 1980. The Royal Mint is structured as a private company, “The Royal Mint Limited”, which is fully owned by “The Royal Mint Trading Fund”, which is itself a fully owned entity of UK government entity HM Treasury. This “The Royal Mint Limited” subsidiary was only established on 31 December 2009, before which the assets of the Mint were held directly by “The Royal Mint Trading Fund”. The Royal Mint Limited and the Royal Mint Trading Fund each produce an annual report which predominantly contain the same information. “The Royal Mint Museum” is a separate company, also fully owned by the Royal Mint Trading Fund and also established in December 2009. 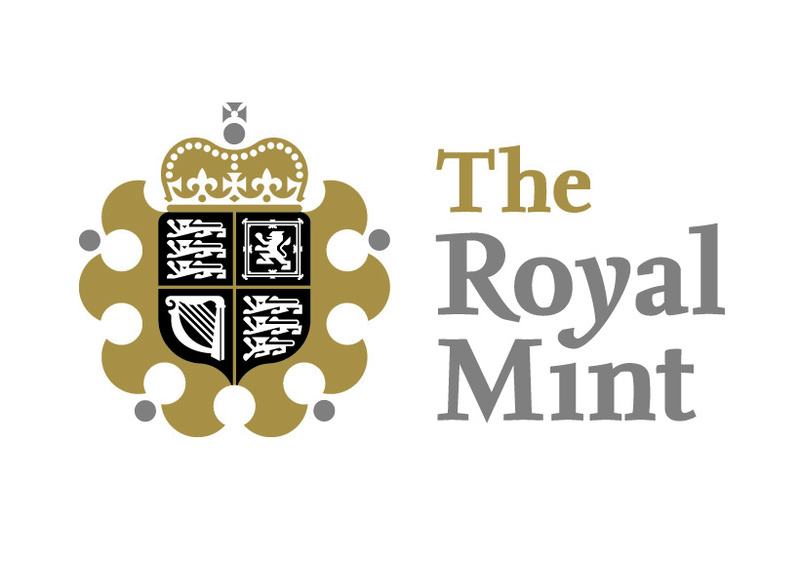 The Royal Mint Limited is overseen by a board of directors comprising a chairman, 5 non-executive directors and 2 executive directors (the Mint’s CEO and CFO). One of the non-executive directors represents the Royal Mint Trading Fund and HM Treasury. The Mint (i.e. The Royal Mint Limited) is run as a commercial company. The Mint is operated as three distinct divisions, namely Circulating Coin, Commemorative Coin, and Bullion. The circulating coin division produces circulating coinage for the UK on behalf of HM Treasury, and also manufactures coins and coin blanks for over 40 other countries/central banks around the world. In 2015-16, these 40 countries comprised 10 nations in the Americas and Caribbean, 9 in Europe, 12 in Africa/Middle East, and 9 in Asia/Oceania. Similarly, the commemorative coin division fabricates commemorative coins and medals for HM Treasury and other mints and monetary authorities around the world, as well as official medals for the UK government and the international market. The activities of the bullion division cover the production, distribution and marketing of bullion coins and bullion bars, as well as secure storage services for precious metals. The Royal Mint also licences the designs of its bullion products for production by other mints. Note that all of the Royal Mint’s manufacturing, distribution and marketing operations are centralised in the Mint’s Llantrisant, South Wales facility. Of total revenues of £360.6 million generated by the Royal Mint over 2015-16, the circulating coin division’s revenue totalled £124 million, commemorative coin revenue totalled £51 million, while the bullion division contributed revenues of £185.6 million. Revenues in the Royal Mint’s bullion division have grown strongly, and for example were 64% higher in 2015-16 compared to 2014-15’s £113.5 million. The Royal Mint is a full member of the London Bullion Market Association (LBMA) and an associate member of the London Platinum and Palladium Market (LPPM). The Royal Mint’s core bullion coin products consist of the 1 oz Gold Britannia coin, the Gold Sovereign, and the 1 oz Silver Britannia Coin. When it was launched in 1987, the Gold Britannia was issued as a 22 carat gold coin, i.e with a gold fineness of 0.9167. Beginning in 2013, the Britannia has been produced as a 99.99% pure gold coin. In 2015, fractional gold Britannias were launched, and there are now four denominations, 1 oz, 1/2 oz, 1/4 oz and 1/10 oz. The silver Britannia, also launched in 1987, is produced solely in the 1 oz denomination, and is made from 99.9% pure silver. The Gold Sovereign is the Royal Mint’s flagship gold coin and has been produced by the Mint in its modern form since 1817. The Mint currently manufactures both a Sovereign and a Half Sovereign. Both coins are made from 22 carat gold, and so have a fineness of 0.9167. The Sovereign weighs 7.988 grams and has a gold content of 0.2354 troy ounces. the Half Sovereign weighs 3.99 grams and has a gold content of 0.1407 grams. The Mint has recently launched a number of new bullion coin ranges in addition to the Sovereign and Britannia. A range of ‘Lunar’ gold coins featuring animals of the Chinese lunar years, launched in 2014, are issued in both gold and silver, with a new design released each year. The gold Lunars are made from 999.9 fine gold and are produced in 1 oz and 1/10 oz denominations. The silver Lunars are made from 99.9% pure silver, and are produced in the 1 oz denomination. In 2016, the Mint added another distinct coin to its bullion coin range, the Queens Beasts series. This Queens Beasts coin is available in a 1 oz denomination of 99.99% pure gold and a 2 oz denomination in silver. The silver coin is also 99.99% pure silver and is the Royal Mint’s highest purity silver coin to date. The Queens Beasts series will feature a different design each year. In 2015, the Royal Mint revived the “Royal Mint Refinery” (RMR) brand name and began issuing gold and silver bullion bars under the RMR logo. The RMR gold bar range now consists of a cast 1 kg gold bar, minted gold bars in weights of 1 gram, 5 grams, 10 grams, 100 grams, and 1 oz. All RMR gold bars are produced from 99.99% pure gold. The RMR silver bar range currently consists of a minted 100 gram bar made from 99.9% pure silver. Like all major mints and refineries, the Royal Mint facility in Llantrisant also houses a secure precious metals vault. This vault was constructed in 1986 to Federal Standard 832 Class A vault specifications, and interestingly, also meets Bank of England vault specifications. As well as storing Mint inventory and precious metals supplies, the Mint more recently has launched a storage service called ‘The Vault’ which allows the public to purchase Royal Mint bullion products online and opt to store their purchases on an allocated and segregated basis in the Mint’s onsite vault. Another product offering called Signature Gold allows purchasers to buy small amounts of gold on a regular basis that are held on a pooled basis within large good delivery gold bars. Additionally, the Mint also offers another storage service at ‘The Vault’ which allows owners of London Good delivery gold bars (400 ozs bars) to store these bars within the Llantrisant vault, with the Mint assuring that the bullion is “held securely – outside of the banking and London Clearing System”. Notably, ‘The Vault’ is a distinct company whose sole shareholder is HM Treasury. Famously, Ministry of Defence police provided security at the Mint’s Llantrisant facility until mid 2016, after which security was re-assigned to controversial security group G4S. The Royal Mint Museum is a distinct company from the Royal Mint, however, the companies collaborate when needed, and they are both fully owned by HM Treasury. The Museum maintains a collection of approximately 80,000 coins and medals, and about 30,000 pieces of minting equipment in addition to associated artwork. The Museum’s collection was started in 1816. The Royal Mint Museum organises exhibitions and events in various locations such as the British Museum and Tower of London, and is accessible to researchers. The Mint also runs a recently opened tourist venue adjacent to the Mint site, called ‘The Royal Mint Experience’.